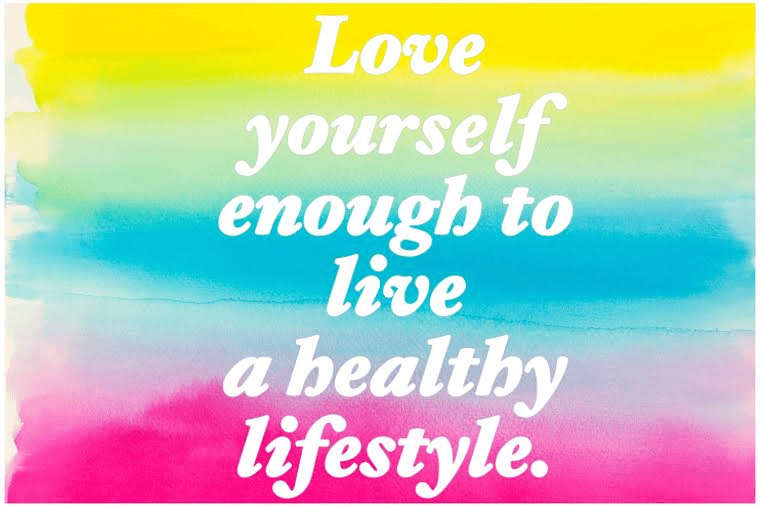 Healthy Living: Be the Best YOU! Have you noticed that there is a paradigm shift towards healthy living? Look around on Facebook, if you can skip over the puppy videos, you will notice a lot of people are talking about being healthy. Being healthy can mean something different to everyone. Being healthy might mean physically, emotionally or spiritually. We’ve gathered our experts and asked them to provide you, our amazing readers, with their top tips for a healthy lifestyle. Today is the first day of the rest of your life. Cliché? Definitely! True? Definitely! Today is the first day of the rest of your life and you have the opportunity to do whatever you want with today. If yesterday was a crappy day, you have the chance to make today even better. If yesterday was awesome, use that energy you are feeling in order to catapult your life. There are three things you can do today in order to make today a little more amazing. It’s Springtime (especially here is South Florida) and the perfect weather to go on a walk. Grab your spouse, family member, friend or animal and take them on a walk. Leave your phone at home! Or at least keep it off during your walk. Walking is such an underrated exercise. It’s such a great opportunity to connect with nature, yourself and whoever you are walking with. Seriously, stop what you are doing and text three people that you appreciate and let them know how you feel. Tell them thank you. The more we live in gratitude in our lives, the more positivity that will happen. Stop at the store on the way home and purchase a package of thank you cards and send them out. Sending and receiving physical cards is a lost art and should be revived. Everyone makes mistakes. Everyone makes bad decisions in their lives. And the key to all of that is forgiveness. Stop beating yourself over your mistakes. Look yourself in the mirror and say “I forgive you”. Say is until you mean it. Say it everyday until you mean it. Then say it a couple more times for good measure. Hey there…yes, you! If you’re like everyone else, I’m sure you’ve thought “I need to take care of myself better” at some point. But how? There are so many different things you can do to improve your quality of life. For this blog post, let’s take a look at the concept of self-care. Self-care can be described in many ways. For some it can mean being physically healthy, such as by exercising, or having a balanced diet. Others may find emotional and/or mental health a key part of self-care. Regardless of how people define and engage in self-care, one common thread exists: We all need self-care on a consistent basis! 1. Physical Self-Care: There are many ways to take care of yourself physically. Eating a healthy and balanced diet is a great way to improve physical health on a daily basis. Getting enough sleep is another thing that is crucial. Exercise is an important tool in physical self-care. Start off slow and incorporate activities that you enjoy. What do you like? Maybe you like walking, jogging, running, swimming, biking, dancing, or something similar. Perhaps you enjoy martial arts. Many people love going to the gym and taking classes like spinning, yoga, Zumba, etc. Just get moving! 2. Emotional/Mental Self-Care: What is something that can destroy us emotionally and mentally? Negative thinking and emotions can lead to depression, anger, anxiety, and stress. Let’s talk about ways to be more positive and foster better mental and emotional well-being. Be kind to yourself. Think about how often we pay others compliments, yet we beat ourselves up constantly with our thoughts and words. You know, those times where we say things like, “I’m not good enough,” “I can’t believe I did that…I’m so stupid,” or “I’m a horrible person.” The saying “We are our own worst enemies” is certainly true. Surely we all make mistakes. These do not automatically make us incompetent, “a horrible person,” or the “worst” anything. It makes us human. So give yourself credit when it is due and be mindful when you may be putting yourself down. Learn when to say “No.” This means being able assert yourself and recognize when you are stretched too thin. How many times have you agreed to do something, even when time, finances, or your energy levels do not realistically allow for this? How did you feel afterward? I’d venture a guess and say you may not have been happy, felt “taken advantage of,” or felt even more stressed? Saying no when it negatively impacts you is not being selfish, it is practicing good self-care. 3. Seek support from others. An important part of improving emotional and mental well-being can revolve around speaking to others. It can be difficult to want to talk with others when we are stressed, anxious, depressed, upset, or suffering. However, internalizing everything can magnify those feelings even greater. It could be a good idea to speak to a professional. With love, from a Registered Dietitian. 1. Plan ahead: “Meal Prep” is a real thing. Trust me, “Meal Prep” it is NOT as intimidating as it sounds. No you do not have to bake, broil and chop everything in your fridge and carefully portion out three meals a day for the week on a Sunday night… I don’t. A simple meal prep could consist of throwing various ingredients into a slow cooker and putting it on low to cook overnight while you sleep. When you wake up in the morning, you now have dinner for the rest of the week! Planning ahead also means planning your meals the day before. If you want to eat budget friendly, healthy and not at the McDonalds next door to work, pack your lunch before you go to bed. Get your “grab-and-go” breakfast ready to grab. Pack a healthy snack so you don’t find yourself raiding the vending machine at 4 PM. Many “oopsies” throughout the day could simply be avoided with a quick five-minute next day meal strategy before you go to bed. 2. Honor your hunger and satiety. It is as simple as this. Eat when you are hungry and stop when you are full. 3. Choose all natural, less processed foods and products. Buzz words like “organic,” “all natural,” “anti-biotic free”, “non GMO,” and “grass fed,” do mean something to me, and they should mean something to you too. Our foods have become more and more processed and less and less natural. They have become altered, enhanced, fortified, and sprayed with pesticides. The sources that our food comes from do matter. Looking for these buzz words will help you to find more natural less processed products that are free of added hormones and safer for you to ingest. 4. Carry around a BPA free water bottle at least 16 ounces large. Water is so important for a slew of reasons. It helps prevent fatigue and dehydration, promotes healthy cell growth, digestion and aids with vitamin absorption – just to name a few. We have all heard the “8 cups a day” rule, now implement it! If you don’t like plain water, infuse it! You can use lemon, lime, orange, cucumber, mint or a variety of fruits, vegetables, herbs and spices to enhance your water’s flavor as well as health benefits! Do not look at foods as “good” and “bad,” and as having “good diet days” and “bad diet days.” A healthy diet is a CONSISTANT thing. We all go to birthday dinners, attend functions, find ourselves eating out at restaurants or feeling busy and hungry and just needing to eat whatever we can find…. I do all of the above! If you have the “good / bad” mentality, you are setting yourself up for feelings of guilt and shame. It is how we eat on a consistent basis that our bodies are affected by anyway. It is important to make healthy choices most of the time and include a lean protein, complex carbohydrate, healthy fat and fruits and vegetables into our daily meals. Eating balanced meals will keep you fuller for longer and have more energy throughout the day. I am a nutrition enthusiast aiming to improve my client’s relationships with food and their bodies while meeting individual nutrition needs and goals. My approach is to provide personalized nutrition therapy based on Intuitive Eating and mindfulness while providing nutrition education and realistic solutions. I use evidence based research as well as functional foods and supplements to support healthy changes for the mind, body and soul. I specialize in wide range of nutrition services including improving relationships with food by overcoming emotional / disordered eating, weight loss counseling, wellness counseling, disease specific nutrition counseling, pre and post natal nutrition and digestive health! I have a very extensive education in Dietetics as I obtained my Bachelor of Science degree in dietetics from the University of Florida and then continued on at Loyola University Chicago to obtain my Master of Science degree in Dietetics as well. I completed my 1200 hour dietetic internship also at Loyola University Chicago concentrating in public health and being fortunate to have rotations at a variety of places including Wilton Enterprise, the USDA’s Egg Nutrition Center, community health centers, school based health centers, WIC and Loyola University Medical Center. 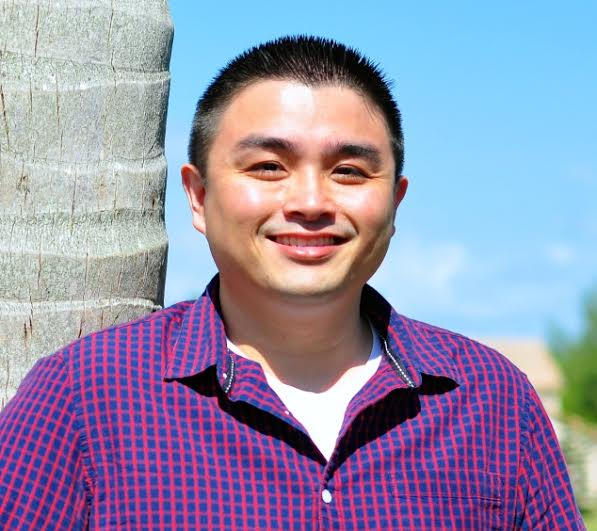 I currently work in an acute care hospital on Miami Beach where I see a wide range of patients in addition to my private practice as registered dietitian for and owner of JuliENERGYnutrition LLC. I was asked to write a post about healthy lifestyle changes. While a number of ideas came to mind, tackling a long list of changes can be overwhelming. In my experience, starting with one goal is not only more feasible, but the benefits will naturally bleed into other areas of your life. So if I had to pick just one thing to change as a starting place, it would be mindfulness practice. Mindfulness is a way of being in the world that is present-focused, accepting and nonjudgmental. It involves being aware in each moment of what is going on internally (thoughts, emotions, physical sensations) as well as externally (what we take in through our five senses). And there is strong scientific evidence that regular mindfulness practice increases happiness, reduces anxiety, improves focus and boosts the immune system. Most of us are living on automatic pilot a majority of the time. Maybe we’re thinking about the laundry we have to do later, worrying about how we’re going to afford dance lessons for the kids, wishing the weekend were here or replaying that conversation we had with our boss. Whatever it is, if we’re lost in thought, we’re missing out on the fullness of the present moment. And research tells us that when we’re not present, we’re not happy. If we can train our minds to return awareness to the present moment, our sense of contentment and peace increases. With regular mindfulness practice, over time, we start to develop familiarity with the feeling of being fully present. We start to catch ourselves when we become distracted. We even start to change the way we relate to our thoughts and feelings and we’re able to get “unstuck” from them. Cultivating this type of awareness requires regular practice and there are many ways to do it. For beginners, I recommend starting with a five-minute breath awareness exercise. Start by getting into a comfortable, yet upright position (if you slouch, you run the risk of falling asleep). Keep your arms and legs uncrossed. Take a few deep breaths and bring awareness into your body by noticing the feeling of the soles of your feet on the floor, the weight of your body pressing down on the chair, the feeling of your hands and arms on your legs. Then bring awareness to the physical sensation of your breath. You may notice the rise and fall of your stomach, chest or shoulders, or the feeling of the air coming into your nose. There’s no need to control your breathing in any way, just observe it as you would clouds moving across the sky. Acknowledge each time you become distracted and return focus to your breath. You may have to do this a hundred times in five minutes. The key is to let go of any expectations or judgments. This is NOT a relaxation technique. The goal is NOT to clear your mind of thoughts. Your only job is to notice the breath and notice when you become distracted from the breath. Try doing this practice exercise every day for a week and see how you feel. If you would like to incorporate mindfulness practice into your routine, I suggest attaching it to an existing daily ritual, such as brushing your teeth in the morning or changing out of work clothes in the evening. I find that practicing during my lunch break works for me. Gradually increase your practice from five minutes, to ten, and so on. There are many mindfulness apps out there, such as Headspace and Calm, which can guide you through your practice. Some even have social aspects, which can provide reinforcement and accountability. Teaching mindfulness is a core element of the work I do with my clients. Dialectical Behavior Therapy, or DBT, uses mindfulness as a basis for teaching clients how to gain some control over their emotions and to accept reality as it is, which reduces suffering and creates a sense of freedom. I have been practicing mindfulness formally for about three years. For me, it’s usually a rewarding practice in itself. Over time though, it’s allowed me to let go of worry thoughts and planning thoughts, and to understand on a deeper level that only this moment exists. Mindfulness practice has increased my sense of contentment and peace by allowing me to accept difficult emotions as they arise, rather than judging them or trying to escape from the moment. The paradox of mindfulness is that the more we accept reality and let go of fighting with it, the more of a sense of control we tend to feel in our lives. 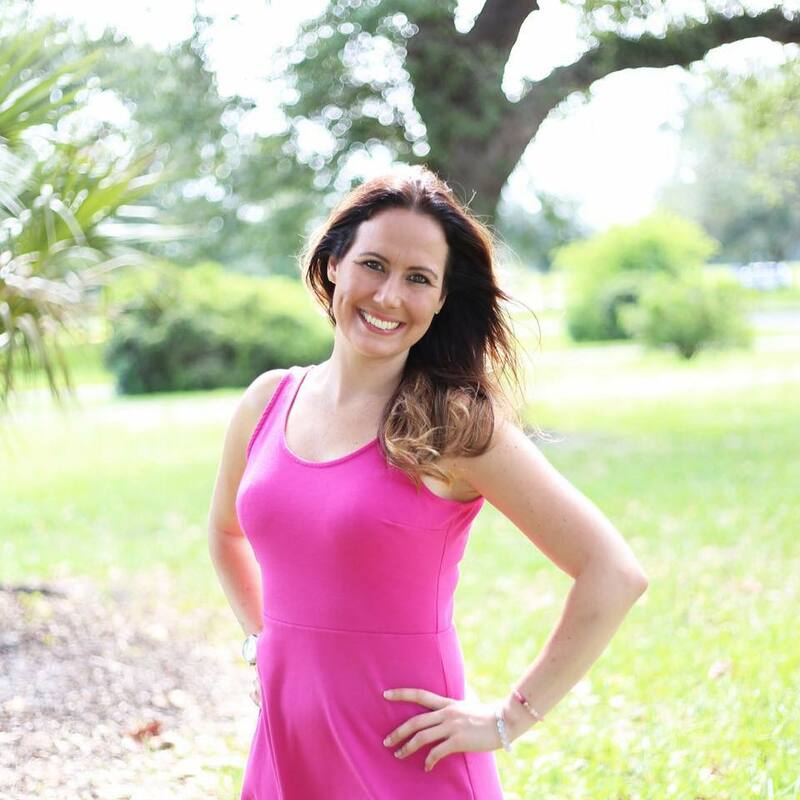 Danielle Mullon is a licensed clinical therapist practicing in South Florida. She is passionate about all things related to self-discovery and growth. She hopes to serve as a conduit for her clients to find and live their highest good. You can find her blog, The Mindful Therapist, at themindfultherapistblog.wordpress.com. It’s important to set SMART goals that are specific, measurable, attainable, relevant and time based. Be realistic about your goal and allow yourself to fantasize about it. There is great power in visualization. Stepping out of your comfort zone to make a change and create a new way of being can be uncomfortable and scary. Remember that it takes at least 28 days to create a new habit. This means that you will have to push through the discomfort for some time before seeing any results. Keep your goal in mind and keep moving forward. 4. Give yourself a break. Sometimes when we don’t see the results we want right away, the path to achieve our goal becomes really challenging, we get frustrated and lose motivation. Give yourself a break! Be kind to yourself and allow yourself to rest for a moment. Then take a deep breath and keep going. 5. Celebrate small changes. Allow yourself to be happy and excited when you take small steps that move you closer to your goal. The excitement of celebrating baby steps will reinforce positive behaviors associated to your goal. The book The Happiness Project by Gretchen Rubin offers great insights into what it takes to make a change. In the moment she realized that time was passing, and she wasn’t focusing enough on the things that really mattered to her, she decided to do a happiness experiment based on changing some of her habits. I hope you like it as much as I did! 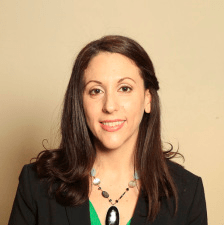 Carolina Gaviria is a Licensed Mental Health Counselor and a National Certified Counselor. 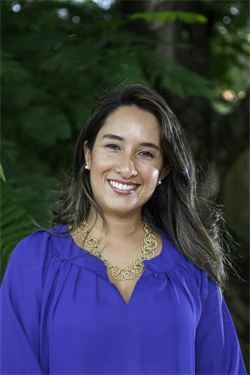 She is also a licensed Psychologist in Colombia, South America and is fluent in English, Spanish and German. She has published articles and presented at national and international conferences on eating disorders, depression, anxiety and stress management. During 15 years of work in the mental health field Carolina has worked with adults and children with different struggles that range from depression and anxiety to trauma, eating disorders, alcoholism and other addictions. By applying CBT – Cognitive Behavioral Therapy and DBT- Dialectical Behavioral Therapy, Carolina will help you learn new coping tools to self regulate your emotions and cope with life in life’s terms. You will change different unhealthy behavior patterns and negative perceptions that may be holding you back from experiencing a more fulfilling and meaningful life. If you’re looking for extra support and guidance through a challenging situation or you’re just ready to move in a new direction in your life, Carolina will work with you on achieving your goals.